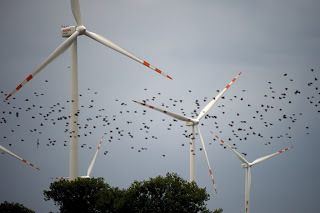 Witness the trifecta fail of wind power – it kills birds, does not produce much power, and is easily damaged. Alternative energy you can believe in! UPDATE: More trouble for wind power as the Royal Society for the Protection of Birds protests a giant wind farm. heh.